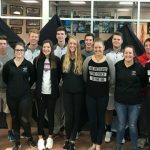 Multiple Teams · Oct 18 East Holds Send-Off for Boys & Girls Golf!! 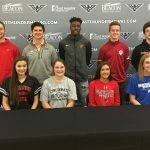 Girls Junior Varsity Golf, Girls Varsity Golf · Oct 11 Girls Golf Reaches State as District Runner-Up! Girls Junior Varsity Golf, Girls Varsity Golf · Oct 5 Girls Golf Sectional Runnerup! 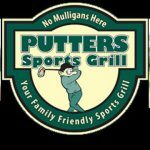 Girls Junior Varsity Golf, Girls Varsity Golf · Sep 22 Girls Golf Beats Firebirds!! 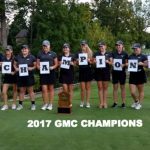 Girls Junior Varsity Golf, Girls Varsity Golf · Sep 18 Girls Golf Wins 1st GMC TITLE! 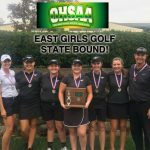 The Lakota East Girls Golf program earned their first-ever GMC Championship on Friday at Walden Ponds Golf Course. The varsity girls shot 659 as a team to clip runner-up Mason by 6 strokes (665) in the two day event. East also held off a surging Sycamore, who placed third overall with a score of 668.